Three generations of working Anatolians. At the 2011 ASDCA National Specialty held in Napa, CA, 10 month old Val was wonderfully handled by 10 year old Katie Bingham to two (2) five point majors. 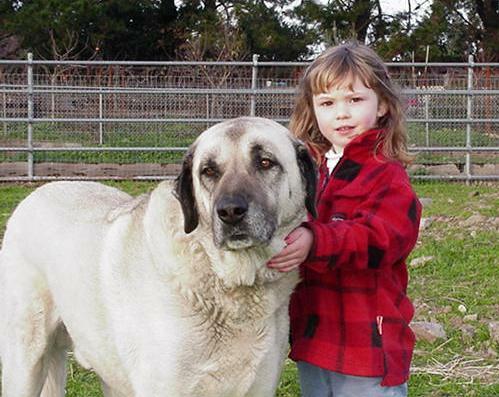 We purchased our first Anatolian in 1993. 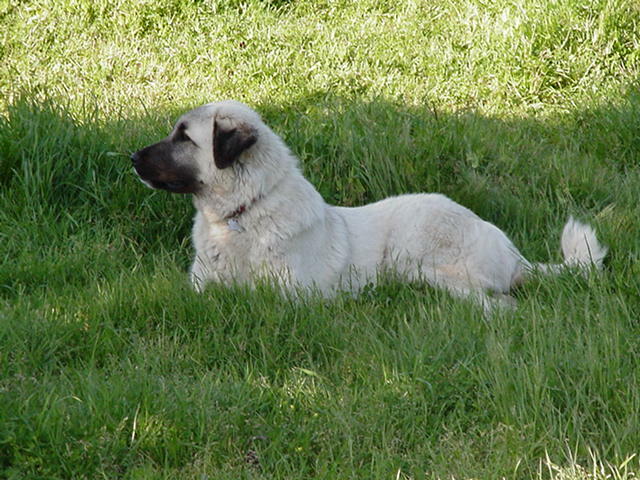 Fayda our first ASD, was out of Kibar Kodaman and Vadnais Guzel. 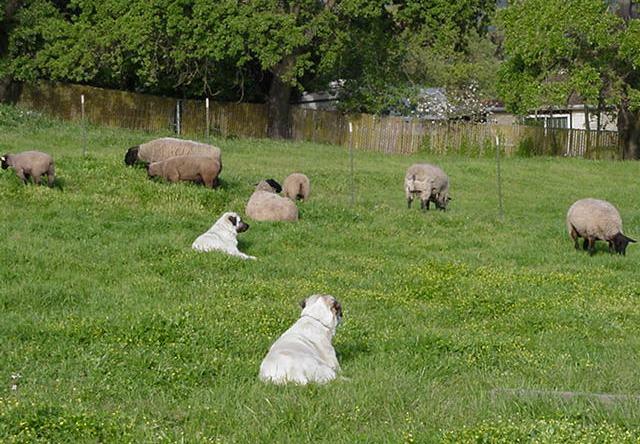 She was a true livestock guard dog. She loved being with her sheep and being part of our family. At the time we purchased Fayda, we were losing sheep, rabbits and chickens to the neighborhood dogs. We have had no more livestock losses now that we own Anatolians. We are a small 4-H family with sheep, chickens and a yearly steer. 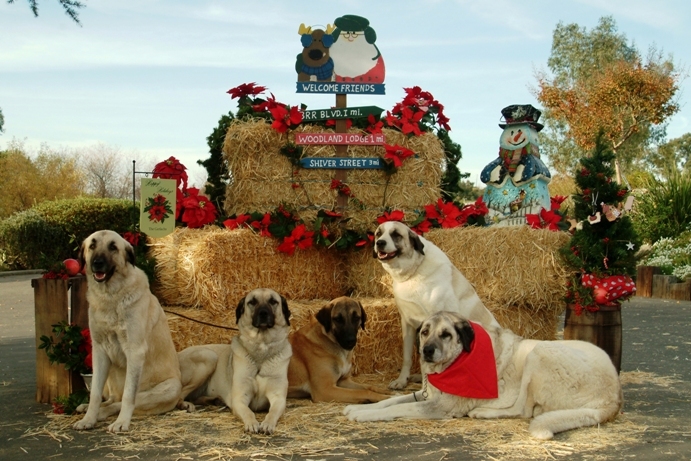 Our dogs are well socialized with livestock and children. While they are on the ranch most of the time, several have also become champions in the show ring -- "From Ranch to Ring, Breeding for Tradition." We had our first litter with Fayda. In 1996, we bred Fayda to Sunny Goodier's male, Ahmet of Avanos. Fayda had 13 pups and we kept 2 pups from this litter ... BeBe and Beau. BeBe loved her sheep, while Beau would rather be up at the house with our family. 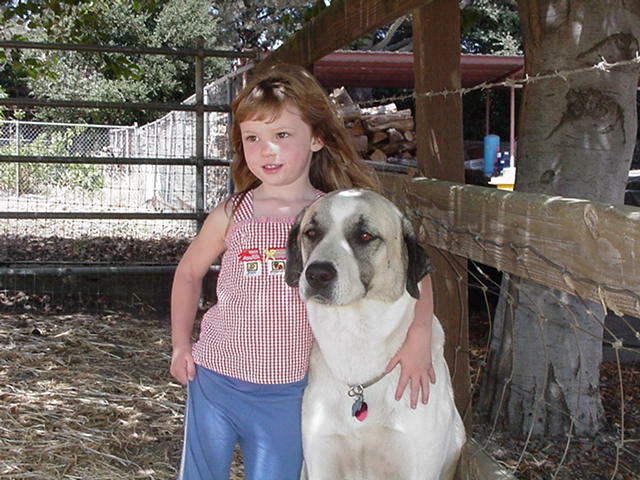 He loved children and being my personal guard dog. 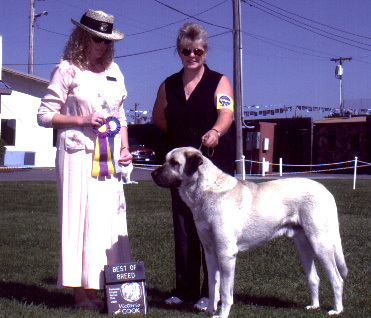 In 2000, we bred BeBe with David Barron's male Kandira's Buz Hayal "Turk". From this litter we kept a pinto female named Beka. This started our third generation of working dogs. Beka was bred to Scout in 2005 and produced 10 pups. From this litter we kept a female pup named "Sirin". 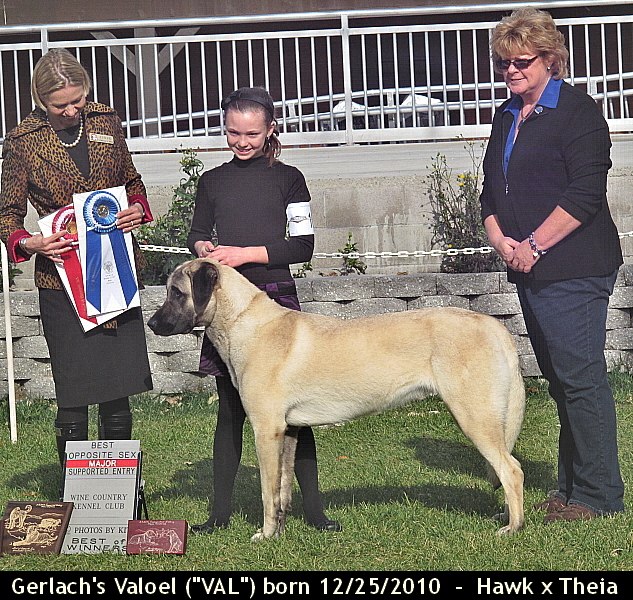 We acquired Misty Acres Kiz Gerlach "Kizzy" in 2004, and, in 2008 we welcomed Aegean's Theia "Theia". 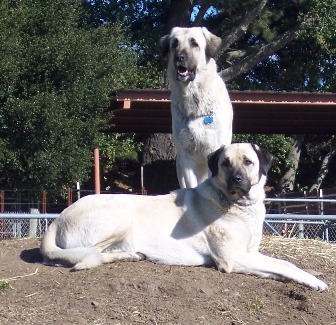 Anatolians are a working breed. They may not be right for everyone because they need a job. Do your homework, is this breed right for you. Please contact us for more information about our dogs and any upcoming litters. You are welcome to come for a visit, we live in the beautiful Napa Valley. 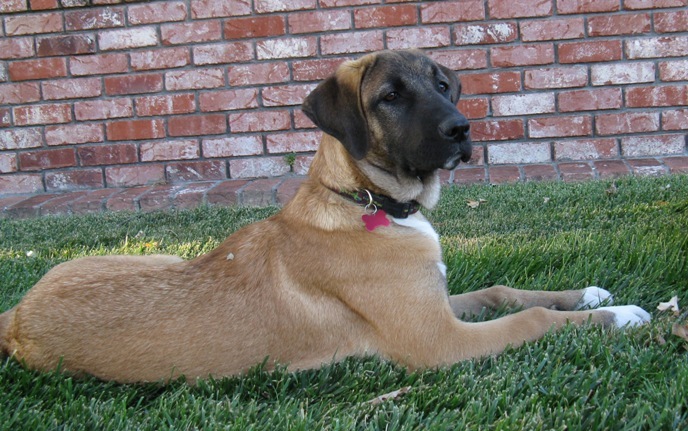 All of our breeding dogs are OFA'd clear of hip and elbow dysplasia, and thyroid normal. They are structurally correct with wonderful temperaments. Our dogs are registered with ASDCA and AKC. Puppies are sold with a written health agreement, and come with LIFETIME BREEDER SUPPORT. Please see our contract below. All puppies are temperament tested and placed between 8 & 10 weeks. 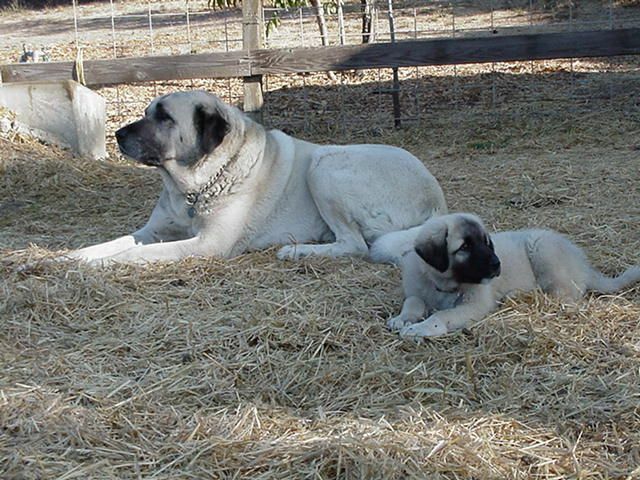 DUE TO THE STRONG WORKING INSTINCT OF ANATOLIAN SHEPHERDS, WE PREFER TO PLACE PUPPIES IN WORKING HOMES AS GENERAL FARM OR FAMILY GUARDIANS, OR WITH PEOPLE WHO HAVE HAD EXPERIENCE WITH LARGE WORKING BREEDS. ANATOLIANS NEED ABUNDANT SPACE AND FREEDOM TO EXERCISE AND PERFORM THE JOB THEY WERE INTENDED TO DO. WHILE THEY ALSO EXCEL AS WONDERFUL GUARDIANS AND COMPANIONS TO FAMILIES AND CHILDREN, THEY ARE NOT MEANT FOR ALL ENVIRONMENTS. WE DO NOT RECOMMEND THEM FOR URBAN AREAS WITH SMALL YARDS, APARTMENTS OR CONDOS. MORE PICTURES OF OUR DOGS! GREAT LINKS! Check them out!